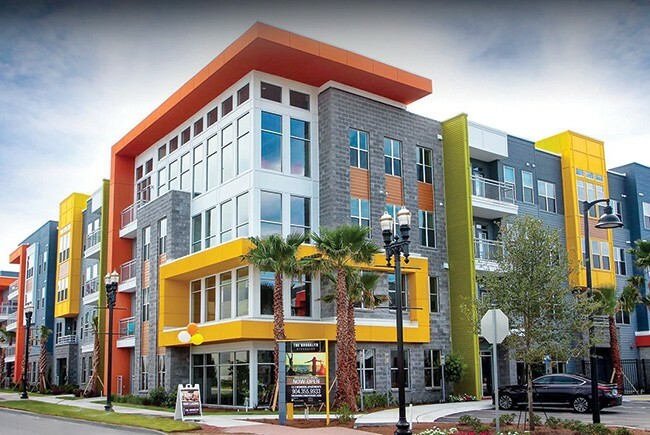 June 13th & 14th, come to the ULI Florida Summit to connect with 650+ of Florida’s leading real estate experts and land use practitioners from private practice, public sector and academia to learn how to get ahead of change in creating and sustaining thriving communities. The 2019 Summit will focus on today’s changing markets, trends, and opportunities, feature leading industry professionals. Network with top real estate professionals from around Florida, including developers, attorneys, engineers, architects, and land use planners. Early Bird Rates End on April 26th! Register here. South Florida’s condo king is so enamored with the Opportunity Zone program that he is looking to use it to build market-rate apartments in West Palm Beach. Related Group’s Chairman and CEO Jorge Perez said he plans to use the Opportunity Zones tax break for a waterfront parcel in the city. Follow a deal earlier this year involving the purchase of the Tropical Manor apartment complex, GlobeSt.com takes a closer look at Florida affordable housing and learns more on how the much-needed affordable units of this particular complex could have otherwise been converted to market-rate housing. There is no denying Miami is on the rise. With a booming downtown, a bustling financial district in Brickell, and a beach that attracts visitors worldwide, now is the time to be in Miami. As the city continues to evolve and advance, lesser-known neighborhoods bordering the major districts are stepping forward, developing their own unique identities, and gaining international attention. Hundreds of Tampa Bay area homeowners are finding out their homes could be at higher risk for flooding. FEMA recently put together new maps that show more neighborhoods could be in jeopardy of flooding during heavy rainstorms and hurricanes. That could mean forking over more cash for flood insurance, even for properties that aren’t directly on the water.